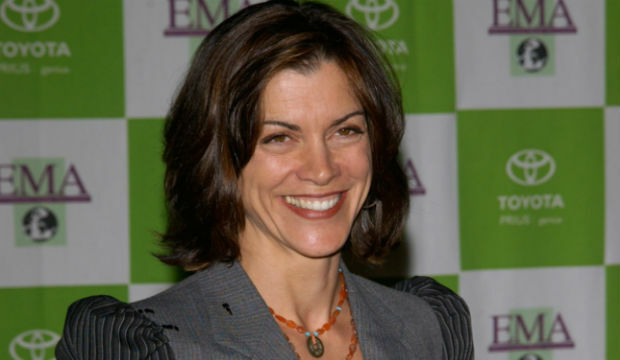 “Hot in Cleveland” star Wendie Malick is not a fan of the delicacy known as “foie gras,” or fattened liver. She has made her stance clear by being the narrator of a video of animal cruelty investigations done by undercover activists. Malick’s narration of the undercover activists investigations into Hudson Valley Foie Gras and Sonoma-Artisan Foie Gras showcases the cruel conditions that the ducks are faced with on a daily basis. The investigations run from 2002-2004 with another investigation done in 2011. The activists took video of the ducks living conditions and captured the rescue of several ducks in both California and NY. Foie gras is the fattened liver of ducks. Duck farms that produce this appetizer for restaurants force feed ducks by sticking a long metal tube down the ducks throat and feeding it corn mash. The ducks are force fed until they can barely stand up. The force feeding is done to produce a liver that is 10 times its normal size. Many ducks do not survive the process of being fed massive quantities of food 3 times a day for almost a month. The dead ducks are piled up into barrels near the living ducks which are caged, huddling together, waiting to be force fed. California has banned force feeding of ducks for foie gras, but the law does not take effect until July 1, 2012. One hundred restaurants in California have already stopped selling and marketing foie gras. But 300 restaurants in the state are still serving it. Many cities in the state support the ban. The Humane Society of the United States still has a lawsuit pending against the New York Department of Agriculture and Marketing over allegation that foie gras qualifies as an adulterated food and should not be sold. You can learn more about the practice of force feeding for foie gras at StopForceFeeding.com. this is disgusting, we are so cruel to animals needlesly. Montgomery is awesome!